The Lady in the Tree continues straight on from book three Maya - Illusion. Lek is still in business with her old friend Ayr and they mean business as well, especially when rivals from nearby try to intimidate them. 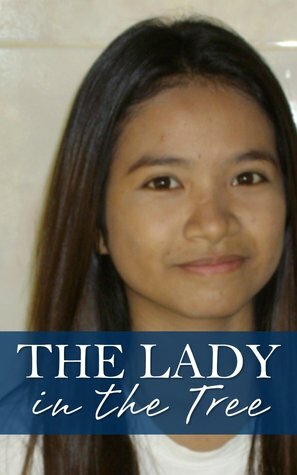 The two friends come up with a daring solution, which they can't even discuss with their friends, family or husbands.Soom is still at university in Bangkok and doing well in spite of having problems of her own, let alone looming final exams, which political upheaval in the capital threatens to disrupt.Craig continues to write, but he realises all of a sudden that he has bigger problems than finishing and selling his books.An old friend and an old lady give the three women some remarkably similar and accurate advice, but where will it get them?The Lady in the Tree can be read as a complete novel in its own right, but it is the fourth in the series called 'Behind The Smile - The Story of Lek, a Bar Girl in Pattaya'.Feedback on this volume of the story has been very good. OwenJones - Owen Jones was born in Barry, South Wales, where he lived until going to Portsmouth to study Russian at 18. After finishing his degree, he moved to s'Hertogenboschon in the Netherlands where he lived for ten years.At 32, Owen moved back to Barry to work with in his family's construction company, first as a painter and then as a director, or, as the bank once corrected him, a painter and decorator. He was also office manager for ten years.At the age of 50 Owen moved to Thailand to live with a Thai girl that he met while there on holiday. He married the woman and now lives in her village of birth in remote northern Thailand.As Owen puts it: 'Born in the Land of Song, living in the Land of Smiles'.